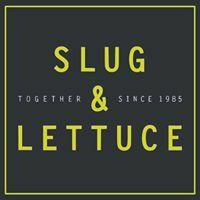 The Slug and Lettuce is the perfect place to relax, drink and dine in style. Great food and service ensures a fantastic experience. We have children facilities and a beautiful sun drenched courtyard. After a hard day’s sightseeing, shopping or working why not drop into The Slug and Lettuce and mingle with a mojito or relax with a large glass of fine wine. With genuine friendly table service as standard, we’re perfect for families and our beautiful rear courtyard with outside heating is a haven for anyone wishing to relax outside in the beautiful sunshine. Planning a party or wanting to be the cocktail master for the night? Give us a call, drop us an email,or pop in to see our Sales Manager to find out more information and to allow us to plan your perfect night out!